SCVHistory.com JD1801 | Heritage Junction | Jo Anne Darcy Collection: 5 Glass & Ceramic Telephone & Telegraph Insulators. 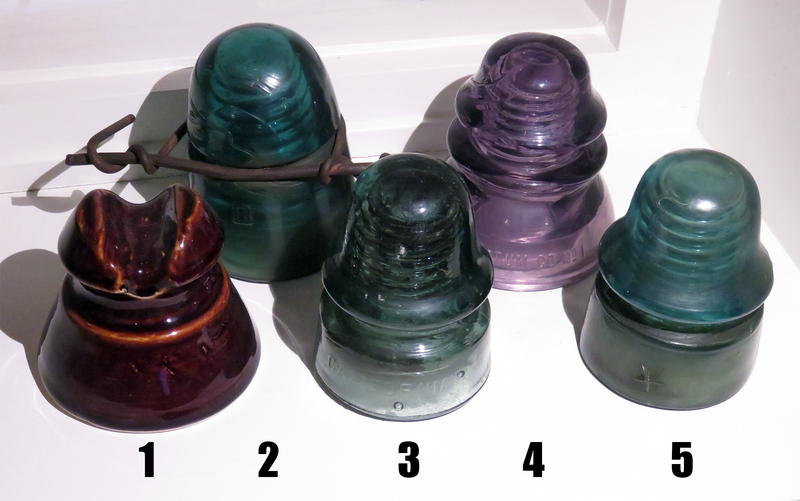 Five glass and ceramic telephone and telegraph insulators from the collection of Jo Anne Darcy, donated 2018 to the Santa Clarita Valley Historical Society by her daughter, Joleen Darcy. 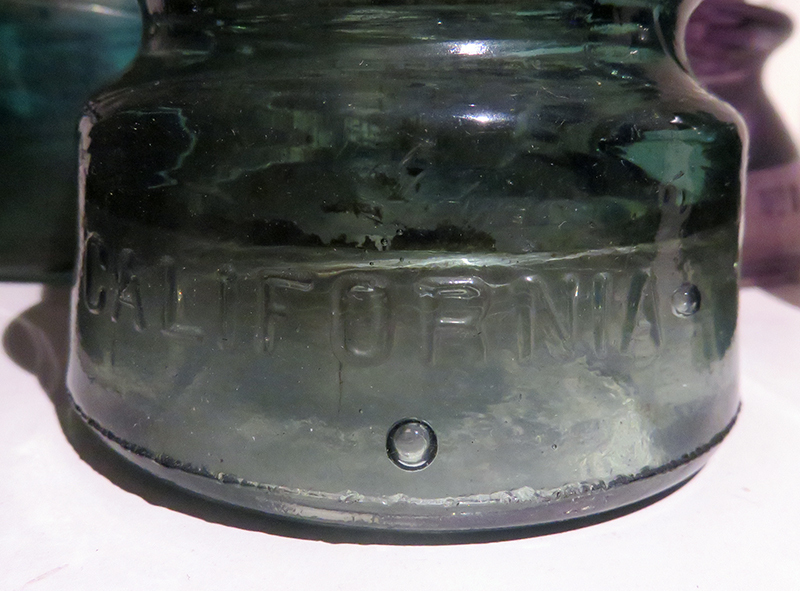 2 — green glass with wire, marked "B"
4 — purple glass, marked "Whitall Tatum Co. No. 1 / Made in USA / 20," probably 1920s. 5 — green glass, marked with a star. JD1801: Items donated to the SCV Historical Society by Joleen Darcy, 2018.